Having a baby is a life-changing experience, give yourself time to adjust. Being a new mum can be exciting, scary, exhausting and everything else in between. Babies do not come with instructions, and every baby is different and so is every mother. There is no such thing as a perfect parent. Take time to get to know your baby and to get into a routine. It can help to talk to your partner, your mum or dad or a friend about the day to day stuff. You can talk with us in confidence about any difficulty you are experiencing as a new parent. During the pregnancy, you might find it hard to feel involved. Your partner is the one who is pregnant, but you can be part of it too. You can attend appointments and you may even wish to attend our antenatal sessions. This can help to show you how to support your partner during the labour and birth. Dads are really important in their baby’s life. You can develop a good relationship whether you are living with your baby or not. You can get involved with the practical day to day care of your baby – changing, bathing, dressing, taking the baby for walks. The more you get involved now, the closer you are likely to be for the rest of your child’s life. There may be particular concerns for you if your daughter or son’s partner is pregnant. It can bring up a range of emotions. It may take some time to adjust to your son or daughter becoming a parent, but you can play a key role in supporting them throughout the pregnancy and after your grandchild is born. 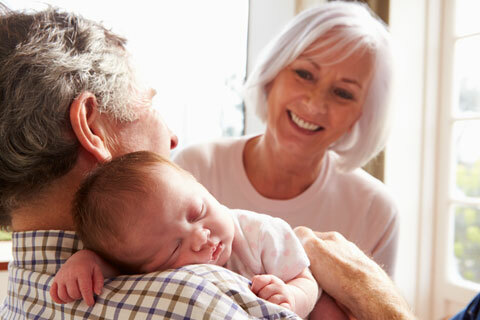 Grandparents and grandchildren can share a very special relationship. It can provide a strong sense of identity and family history, as well as a sense of stability. However it can sometimes be hard to find the balance between parenting and grandparenting. If you need someone to talk to about these issues, the TPSP is here for you too.